What Oblong Gallery lacks in space it certainly makes up for with quality. In its next exhibition, the works of JH Engström, Laura Hynd, Michael Grieve and Tereza Zelenkova (all 1000 Words affiliated artists) have been brought together to explore the subjective approach of the authors in their search for meaning in an existential world. Together they embrace the tragedy of dislocation and beauty of absurdity through work that is grounded in the sublime impossibility of the documentary genre. The exhibition is a rare opportunity to understand the sensibilities of four extraordinary art photographers. 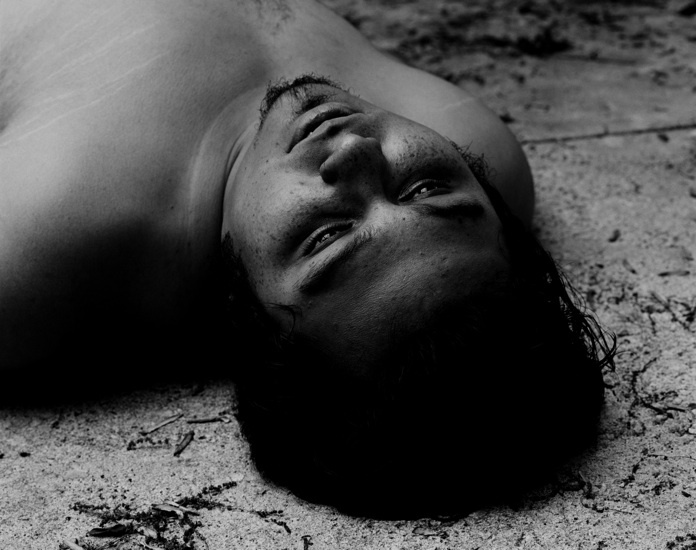 JH Engström (1000 Words issue #6 cover artist) is a Swedish photographer of notable distinction. 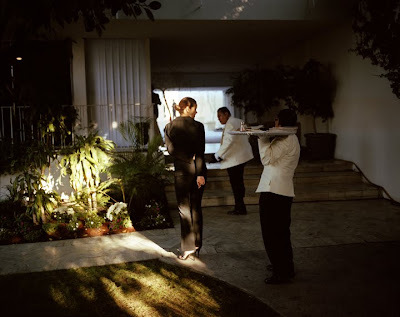 His works, Trying to Dance, Haunts, From Back Home and La Residence have been published by Journal, Max Strom and Steidl, and he has exhibited widely including Galerie Vu in Paris, Gun Gallery in Stockholm and at Arles Photofestival where his project, Wells, was curated by Nan Goldin. At Oblong, Engström is showing photographs from his distinguished series, Trying to Dance. 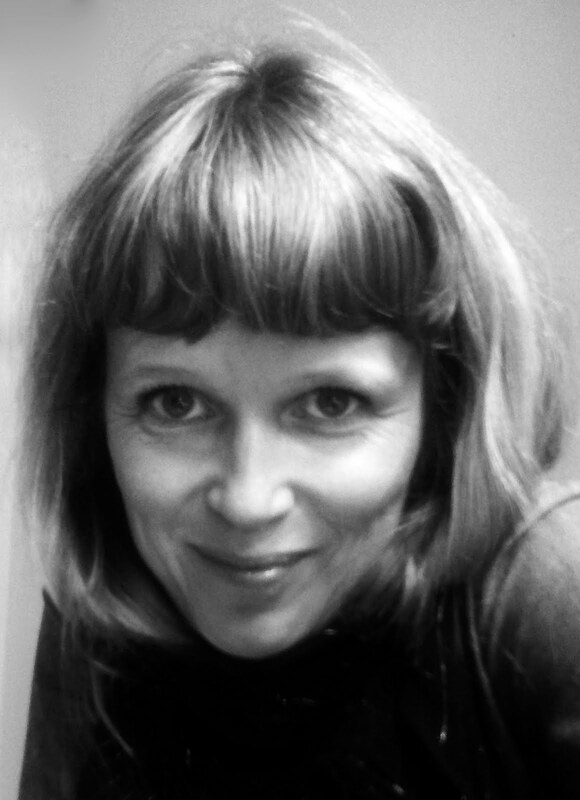 Laura Hynd (1000 Words Workshop with Antoine d´Agata/Anders Petersen participant)was born in Scotland and is an accomplished photographer who is commissioned by prestigious, national and international magazines and publications. Her current work in progress, The Letting Go, is a significant departure from editorial concerns. With artistic expression, she depicts a deeply personal journey allowing chance to dictate the process, and in doing so explores her identity and her relationship to others. Much of the work is situated in the heart of the vibrant medina of Fez. 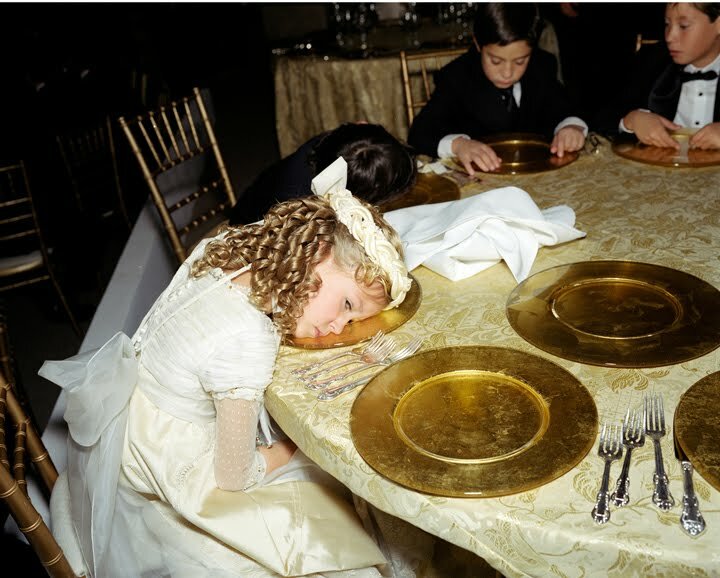 Michael Grieve (1000 Words Deputy editor) is a British photographer. His portfolios are regularly published and reviewed in contemporary art photography journals and his last project, No Love Lost, has been exhibited at various galleries and festivals in Europe. His new, on going, body of work, The Foreigner, is photographed in Morocco. It is a fictional documentation of a real place that represents the unfathomable inability to connect with the substance of life. Tereza Zelenková (1000 Words issue #10 featured artist) is from the Czech Republic and is currently studying at the Royal College of Art. Her highly praised project, Supreme Vice, is a distinctively accomplished set of documentary visual metaphors inspired by the occult that studies the tension between the inability of science to provide satisfactory answers in a world where god is dead. Her work has been regularly reviewed and exhibited. The book, Supreme Vice, is published by Morel Books in 2011. If you haven't had a chance to check out Shadow Catchers: Camera-less Photography at the V&A yet, there's still time, as the show closes it's doors on 20 February. Featuring Floris Neusüss, Pierre Cordier, Susan Derges, Garry Fabian Miller and Adam Fuss, the exhibition offers a cross-section of the careers of each artist alongside new work created exclusively for the occasion. In contrast to the visually verbose nature of much photography, the work of the artists presented here is by turns minimal and reductive. The differing techniques - achieved by not using a camera - create an interesting sense of indexicality and gently coax the viewer into a highly contemplative state. Living up to the title, the ethereal and the fleeting loom large and the work often draws inspiration from nature, religion, science as well as photographic history. Introducing the exhibition is Floris Neusüss’ work - well developed in exploring it's themes of "mythology, history, nature and the subconcious". At times somewhat fetishised, his Gewitterbild pieces – photographs exposed by lightning – were fascinating in their inversion of ideas of authorship. 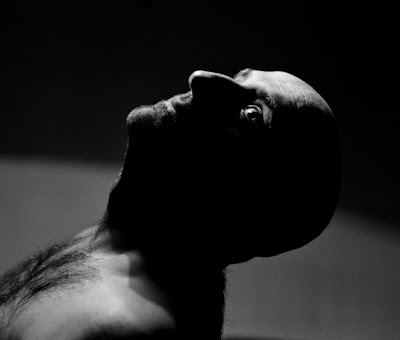 Pierre Cordier is unique within the group, insisting strongly that he does not ‘make’ photographs. His highly complex works stem from a strong interest in the cryptic, the cult-ish and the encoded. These, combined with his pseudo-scientific approach provide an intoxicating mix of both control and chance, all enshrouded by an air of obsessiveness. Renown for her photograms of water, Susan Derges work is largely influenced by ideas of cyclical rhythm and ‘what underlies the visual’. Her Arch series is truly brought to life with a separate room solely dedicated to it allowing you to fully soak it in. Seeming to finally underscore and examine our relationship to nature, the final room in the exhibition is dedicated entirely to Adam Fuss’ series My Ghost. Nuss takes us on a journey of the spiritual through symbolic and emblematic motifs. The truism that sometimes the nature of things can be better understood, not by what they are, but by what they are not, certainly seems apt here, and as a whole, the exhibition is defined in this way - rather than documenting the world, the camera-less photographs show what has never really existed at all. 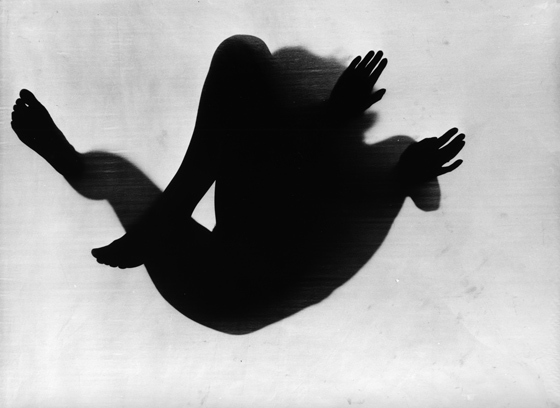 Shadow Catchers: Camera-less Photography is curated by Martin Barnes, Senior Curator of Photographs at the V&A and exhibits from the 13 October - 20 February. 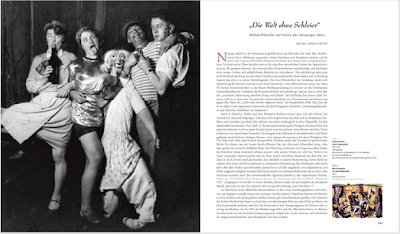 We’ve got three copies of La Boheme Artists in the 19th and 20th century photography by Bodo von Dewitz to give away, courtesy of our partners Steidl. Follow us on Twitter @1000wordsmag and retweet the announcement to enter. Offer ends 25 February. Henry Murger described within his novel La Bohème for the first time in history the life and struggle of poor artists within bourgeois society. This was the beginning of the romantic myth of the independent, anarchistic spirit of creative artists. In that context photography played an important role, used by the artists for self-exposure and to document their working conditions and leisure. The bohemian legend persists in literature, on stage and film, as well as in the attitudes of numerous artists of our own time. 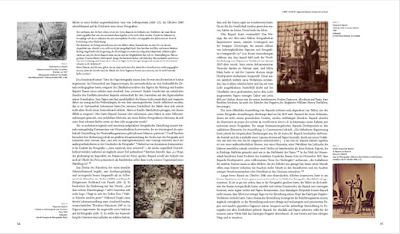 This book assembles daguerreotypes and photographs of painters, sculptures, writers and actors, portraits and group pictures, pictures of studio interiors and parties from the late Biedermeier over the Belle Epoche up to the 19th and 20th Century. Besides the pictures from famous photographers as Nadar, Alois Löcherer, Wilkie Wynfield, J.M. Cameron, August Sander and Lux Feininger, the book contains numerous unusual pictures of unknown “masters”. Bodo von Dewitz, born in 1950, is director of the Agfa Foto-Historama of Museum Ludwig in Cologne since 1985. He is the initiator of numerous exhibitions on the cultural history of photography. This project came across my desk a few days ago via one of our contributing writers, Susan Bright. Both beautiful and poetic, it is also disquieting and dark. It's serious stuff, in the sense that it addresses some of the underlying tensions of photography - namely the politics of representation - not in an obvious way, but by various subtle and beguiling means. "For my latest body of work, You Before All (2008-present), says Levy, "my photographs continue to concentrate on my camera's ability to harshly manipulate its subjects while controlling their bodies and emotions. The simple approach and ominous tone in this series introduces two paradoxical states: pain and ecstasy along side villain and victim. As the photographer, I want the viewer to question my motives as they experience the potential harm or pleasure inflicted upon my models. Being a female artist and the authority behind this work, I chose solely male subjects in order to enhance the submissive nature of the imagery. You Before All questions the line that separates pain from pleasure. The work magnifies how in the moment it is hard to decipher between these two very different emotions. Both are intense, but are very much the opposite of another.The aim in this body of work is to ask the viewer to uncover which one of these emotions is behind a single frame and where he or she is more sympathetic. Throughout the series, my role as the photographer is to play the part of the predator. I contort my subjects to look like victims. However, whether they are victims of pain or pleasure is up to the viewer to decide." Carrie Levy is a photographer and a photo editor based in Brooklyn, New York. She received her BFA from the School of Visual Arts in 2000 and her MFA from The Royal College of Art, London, in 2005. She is represented by Daniel Cooney Fine Art since 2002 and has exhibited throughout the US, Asia, and Europe. 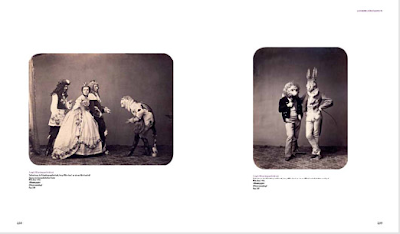 Trolley Books published her first monograph in 2005 titled 51 Months. Her next solo show opens at Daniel Cooney on 17 February 2011. Besides widely exhibiting her works, Levy has also been a photo editor at numerous publications such as The Wall Street Journal and Newsweek. Today she is a freelance senior photo editor at GQ magazine. Levy is part-time professor of photography at the School of Visual Arts. Manuela Barczewski, Sara Bjarland, Richard Burton, Emma Crichton, Alex Currie, Julia Curtin, Marysa Dowling, Lisa Elmaleh, Valentina Ferrandes, Iulia Filipovscaia, Jo Gane, Marguerite Garth, Ben Gold, Isabelle Graeff, Julie Hill, Ellie Davies, Tess Hurrell, Mandy Lee Jandrell, Jordanna Kalmann, Özant Kamaci, Naima Karlsson, Yaron Lapid, EJ Major, Zoe Maxwell, Georgina McNamara, Kate Nolan, Ethna O'Regan, Vesna Pavlovic, Sever Petrovici-Popescu, Luca Sage, Carolyn Scott, Louise Short, Jayne Smith, Alison Stolwood, Jan Stradtmann, Carole Suety, Chiara Tocci, Philip Tottenham, Rachel Wilberforce. 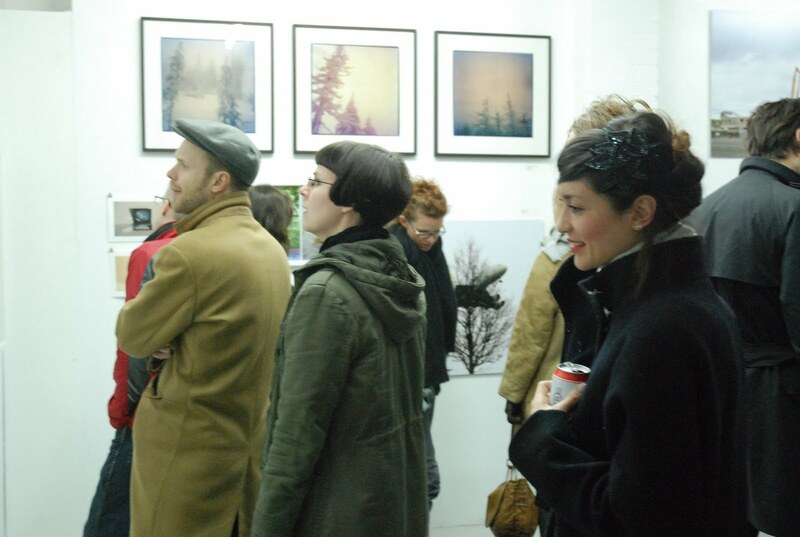 The exhibition will continue from 4 February - 26 February, Friday-Sunday (12.00-18.00) at Matt Roberts Project Space. To download this year’s PDF catalogue please click here. 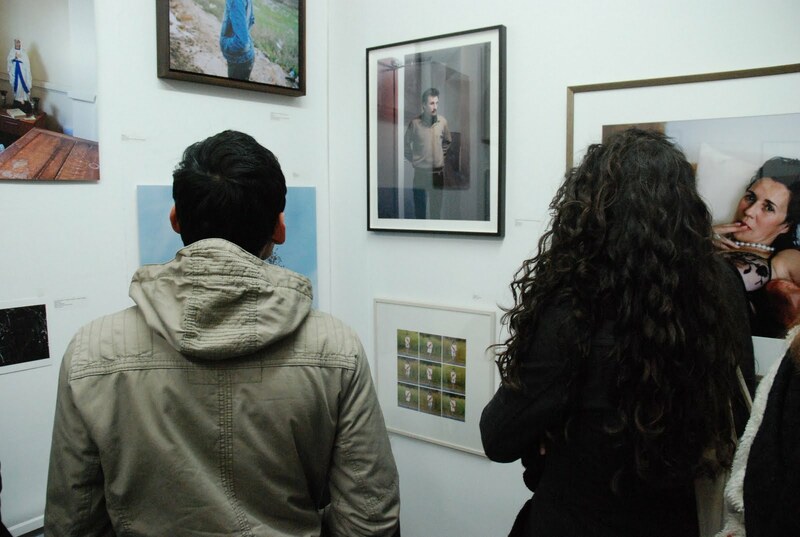 Below are a few photographs from the opening on Thursday 3 February, taken by Robson Yee, editorial assistant at 1000 Words. It was an entertaining opening night and a tremendous turn out with over 1,300 people packing out the gallery. Of the work she says: "Recently I’ve become interested in protest. The Suffragette movement provides a historical context for the performance and investigation of protest today, a fixed vantage point from which to explore the myriad issues we are asked to care about today. It also acts as counterpoint to my own ambivalence. An ambivalence born of fatigue at the information overload that surrounds the globalized internet generation." She will receive £1000 and a solo exhibition in 2012, supported by 1000 Words. Watch this space for more developments and news on the show. An interesting musing by Jacques Derrida on himself as an author, the dissemination of photographs and what happened in 1969. "I absolutely forbade all public photographs of myself. 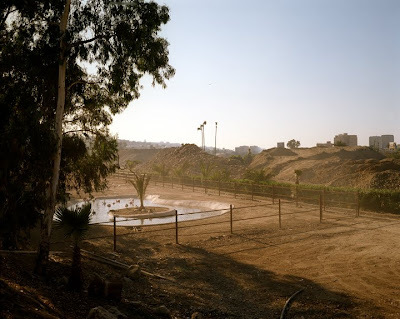 I like photography, I don't have anything against it but..."
"The focus of this project is the life, family and surroundings of Maria Elvia de Hank, the wife of the eccentric millionaire and Tijuana’s ex-mayor Mr. Jorge Hank Rohn. With her as the axis of my project, I am interested in how a woman who is wife of one of the wealthiest entrepreneurs of Mexico, builds with a perfectionist touch, a social and beauty ideal that participates as an example in both her private and public life, all this within the Tijuana upper middle class, one that is transparently still under construction." Maria Elvia de Hank is brought to us a year after the completion of Venegas' MFA in Visual Arts at University of California San Diego. Apart from assisting various photographers including Rineke Dijkstra and Juergen Teller, Venegas' time prior to her MFA was largely spent working as a freelance photographer and teacher. Join the legendary John Gossage and Curator of photography at the Smithsonian American Art Museum Toby Jurovics for a conversation about The Pond and its role in the history of American landscape photography. "What makes a very good, or a great photographer? Is it the steady accumulation of stunning single images, in the manner of a painter, the standout pictures that catch the eye in an art gallery and immediately attract the imitators, perhaps forming the beginnings of a school? The painterly photographers, or the photographic painters, if you will, like Andreas Gursky or Jeff Wall, would seem to think so, although this is not to say that their particular ouevres are simply disconnected successions of highlights without an overaching meaning, an accusation one might certainly fling at the less-gifted followers of this tendency. Is the great photographer characterised by style? 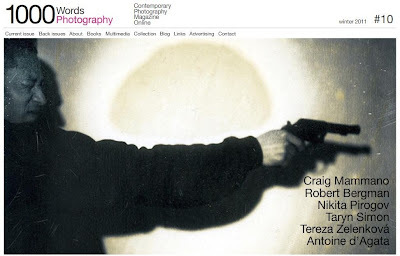 There is a presumption, with the recent art market interest in the medium, that photographers who are artists rather than mere photographers distinguish themselves as such by exhibiting a marked style. Therefore there is a tendency, encouraged by the work of the Bechers and the Dusseldorf School, to progressively distill one´s vision, reducing the range of subject matter and its treatment until it can be claimed - usually by the gallerist - that so-and-so has developed an original and instantly recognisable style. Style equals branding, and branding means sales, so we get the fairly common phenomenon of the photographer who hits upon one extraordinary image and then repeats it, with minor variations, for the rest of his or her career. In short, the Mark Rothko´s of photography. Or are the really great photographers drawn from the ranks of those who reject visual style in favour of a visual sensibility, those who recognise that the medium is profligate rather than reductive, and more akin to the film or the novel than the painting? Those accordingly, who tend to put content before form. Of course, there are no rules for creating great photographers. Great artists, great photographers, reach such a pinnacle because they do not follow the norm. They break rules. They follow their instincts and convictions, not the herd and the smart money. But in my view at least, the best photographers tend to come from the last category, those whose style and individuality emanates from deep within them, and is not, as is the case I feel with all too many, something grafted on from outside." APORIA: [uh-pawr-ee-uh, uh-pohr-] The expression of a simulated or real doubt, as about where to begin or what to do or say. This issue brings together a number of exciting artists in an attempt to tackle the idea of a shared reality and the possibility - or impossibility - of its representation through photography. "Photography is a fiction," said John Gossage "not the fiction that implies a lie, but the kind of fiction that describes the experience you are getting as fleeting and transitory yet at the same time permanent. It’s not reality in the normal way we navigate it." With this in mind, Photography critic and Picture editor at The Telegraph, Lucy Davies considers the fascinating portraits of Robert Bergman; Aaron Schuman speaks to Craig Mammano about his work on survival and isolation in the Treme neighbourhood of New Orleans following Hurricane Katrina; Curator Susan Bright takes a look at Taryn Simon’s new book Contraband; Artistic director at QUAD and Co-founder of FORMAT International Photography Festival Louise Clements takes a look at the portfolio of young Russian photographer, Nikita Pirogov; Natasha Christia profiles Czech-born, Tereza Zelenková, another promising young talent who graduated from The University of Westminster in 2010; and finally 1000 Words Deputy editor Michael Grieve brings us a rare and rewarding interview with the highly-respected and controversial Magnum photographer, Antoine d’Agata. In the books section, we turn our attention to From Here to There: Alec Soth’s America by Alec Soth, Boris Mikhailov’s The Wedding and the stunning Thirty Two Inch Ruler/Map of Babylon by John Gossage. As always, there is no shortage of people to thank, but we would like to show our appreciation to Santiago Taccetti from CCCH Creative Studio, Barcelona for his stellar design work, Carla Rigau for her expert translation services and new staff member, Robson Yee for his hard work and assistance with all matters editorial production. 1000 Words would also like to warmly welcome the recently appointed Board of directors and looks forward to working with them on the next stage of the organisation’s development. They are: Camilla Gore, Nicholas Barker, Simon Baker, Louise Clements, Aron Morel, Tim Clark, Michael Grieve and Norman Clark. 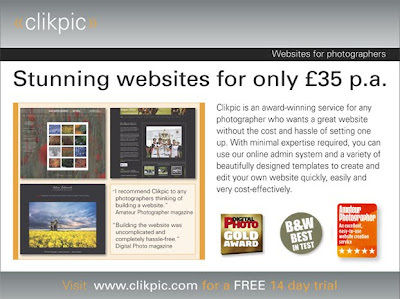 Clikpic is a special service that provides photographers and artists with excellent looking websites for only £35 pa. With minimal technical expertise required, you can use their online admin system and a wide choice of template designs to create and edit your own website with the minimum amount of hassle and expense. -Update and change your site whenever you want and as often as you like. Link up to PayPal or Google Checkout to sell your work online - you can even have a shopping basket facility within your website. -Have as many pages as you like in a variety of formats. -Dozens of features and options to customise your site and give it your own feel and look. -Slideshows, image watermarking services, guestbooks, contact forms, etc, plus many more built-in features! -The beauty of the Clikpic system is that you can make your site as easy or as complex as you like, with dozens of additional features and options to do more or less whatever you want with your website. All within the £35 price band! Visit www.clikpic.com for a free 14 day trial. An abridged version of the following interview between Nina Strand, editor at Objectiv and 1000 Words' Deputy editor Michael Grieve was recently published in the Norwegian newspaper, Dagbladet. Read on for a more in depth discussion about the future of print, digital curating, the problems with the term 'emerging artist' and the thinking behind 1000 Words as the magazine prepares to launch its landmark 10th issue. NS: After 22 years Portfolio ends, what are your thoughts? MG: I think it is very sad that Portfolio will no longer exist. Its design, editing, writing and production values are superb and set the standard for any aspiring photographer to grace its pages. Photography needs high standards in all areas and that this particular magazine has folded is a great loss. NS: And your thoughts on Photoworks? MG: Photoworks is an integral aspect of the 'art' photography community in Britain and across the globe. It tends to deal with more conceptually driven photography with a very clean aesthetic which dominates a great deal of photographic practice these days. I feel that there is room for more variation, photography which perhaps does not fit into neat categories. NS: Is it a trend in Britain now for online journals, like 1000 Words? MG: I am not sure it is a 'trend' in Britain. There are perhaps lots of blogs, but I would differentiate between a blog and an online magazine. We regard our blog as the sister site and we use it as a platform to promote work that does not make it to the magazine and to promote 1000 Words events. At a time when photography is becoming sanitized and institutionalized we are in need of new and interesting ways to harness the mass proliferation of images. 1000 Words is simply utilising technology to curate quality photography. We see an online presence as a thing in itself, it is not trying to replace the printed magazine. I see it on a par with the 'punk ethic' and remember friends using photocopying machines back in the early 1980's to produce fanzines. 1000 Words is using a more sophisticated technology but it is still a DIY attitude born from frustrations and a reaction to the 'institutionalisation' of the 'art' photography world. But the 1000 Words magazine is the first step in our concept. It is essentially our flagship and the power we have is in being able to communicate to a mass audience (the magazine attracts approximately 140,000 unique visitors from more than 75 countries every month) and we can utilise this fact to promote other 1000 Words activities outside of cyberspace, such as the the recent workshop we organised with Antoine d'Agata in Morocco. 1000 Words is not just an online magazine. NS: Do you think the paper magazine will survive? MG: People will always find ways to produce print magazines. It is a fetish and therefore a seduction that is essential to any lover of the photograph. An audience needs the tactile relationship to photography. Money is always the issue, but just as photographers are now finding ways to raise the finances to self publish, in response to the limited and often dire financial restrictions of established publishers, so will those with a passion to produce the printed magazine. 1000 Words also intends to produce an annual printed magazine. As I said before it is not a question of one thing or the other. However, our project has the benefit of experimentation and Tim and I are constantly thinking on lateral terms, in other words, how can we arrive at a certain point from a different perspective. NS: What are your thoughts on the magazine as a showroom for emerging artists? MG: Not sure about the term 'emerging artists'. I think this term is slightly patronising and presupposes that at some point you emerge.... but into what I'm not sure! It is a tidy term that has entered into recent language to deal with the huge proliferation of younger photographers. These 'emerging photographers' are the victims of this terminology and therefore enter the huge amount of competitions and unproductive portfolio reviews for 'emerging photographers', spending money they probably do not have. Being a photographer should never be neatly categorised into some careerist mode. Photography is a journey and at no point do you 'make it' as the journey is never ending, even after death. There are obviously well-known, lesser-known and unknown photographers but we believe in merit and strive to showcase those works that represent creative skill, emotion, intelligence and that certain something that cannot be pinned down by words. We do not subscribe to trends and fashions in photography but rather pluck out what we consider to be relevant to the contemporary world and highlight work that will stand the test of time. A selection process on every level of photography is greatly needed. As a platform for showing the work of photographers 1000 Words offers promotion on a massive scale and hopes that it will stir the curiosity of people to buy the photographer's book or go and see their work in galleries, or simply look and read about it on our magazine. Like all mediums ours has its limitations. For example, we have designed the magazine in a simple but sophisticated way that gives photography and writing prime space. Advertising for us must be effective for the advertisers but not at the expense of what really matters. So we are always finding ways to not allow advertising to encroach yet make sure we develop bespoke packages for them that reward their loyality. It's a fine balance but it is all about working with advertisers and sponsors who want to relate to the topics and themes we're engaged in; a shared interest. NS: Writing about photography is an art in itself, how do you work with the writers? MG: Writing about photographers work is a very responsible thing to do and should not be taken lightly. It is, of course, an interpretation of someone else's creative output and it should only ever be perceived as that. 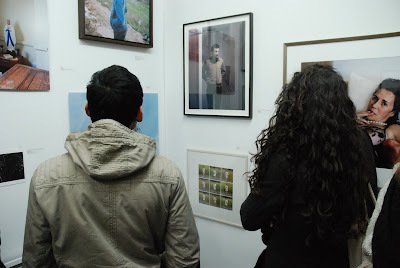 But the work of different photographers demand different approaches. With some, it may be appropriate to ask questions, with others it could be a features review about a book. The balance to be achieved is always to be sensitive but also to project your ideas onto a body of work with the greatest respect. We commission writers who we feel have a certain understanding and appreciation of the particular photographer. In the current issue the curator of photography at the Tate, Simon Baker, applied his theories of George Bataille towards an interpretation of Leigh Ledare´s recent body of work, and it was the perfect mix as Simon had co-curated a show dedicated to Bataille at the Hayward Gallery a few years ago and instantly understood and brought the connection to Ledare´s work, which in itself is a creative act. And, like the photography we choose, the writers we commission share a passion. The essays we hope, are open to debate as there is nothing worse than a culture of nodding dogs. Some magazines may declare that they are the authority on photography but we prefer an attitude of open mindedness and declare nothing accept to confess that we have everything to learn.